October 31, 2016 – Saturn appears as a serene globe amid tranquil rings in this view from NASA’s Cassini spacecraft. In reality, the planet’s atmosphere is an ever-changing scene of high-speed winds and evolving weather patterns, punctuated by occasional large storms. The rings, consist of countless icy particles, which are continually colliding. Such collisions play a key role in the rings’ numerous waves and wakes, which are the manifestation of the subtle influence of Saturn’s moons and, indeed, the planet itself. 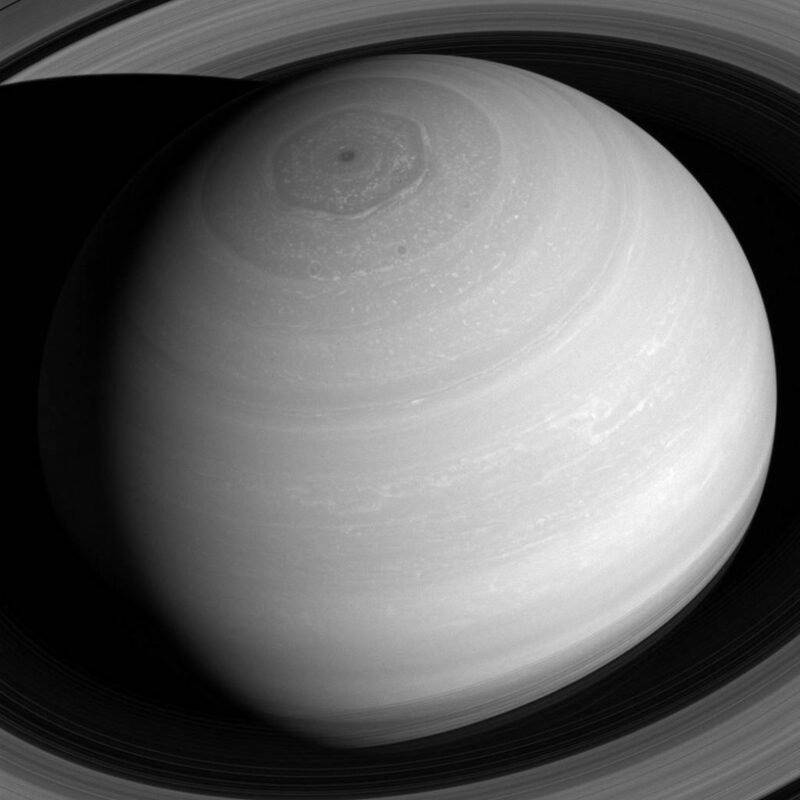 The long duration of the Cassini mission has allowed scientists to study how the atmosphere and rings of Saturn change over time, providing much-needed insights into this active planetary system. The view looks toward the sunlit side of the rings from about 41 degrees above the ring plane. The image was taken with the Cassini spacecraft wide-angle camera on July 16, 2016 using a spectral filter which preferentially admits wavelengths of near-infrared light centered at 752 nanometers. The view was acquired at a distance of approximately 1 million miles (2 million kilometers) from Saturn. Image scale is 68 miles (110 kilometers) per pixel.